The aim of this workshop is to facilitate a greater integration of the study of invasion-scares and popular politics at the intersection of divergent approaches. 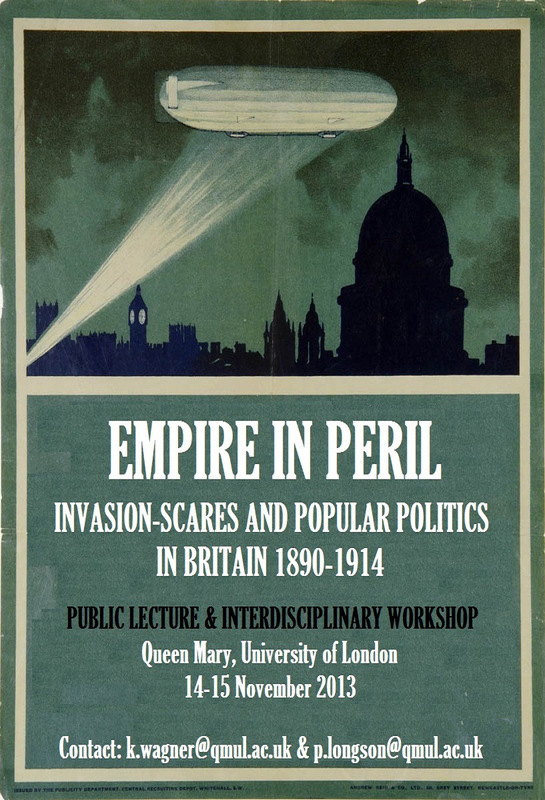 It is suggested that a more thorough investigation of the interconnectedness of press, politics and popular culture is essential to furthering our understanding of key aspects of Edwardian society and British identity on the eve of the Great War. Responding to a recent surge of interest in the pre-war period, this workshop will stimulate debate and reflection on the latest research in these areas, and identify avenues for further study, based upon a broader and more inclusive approach to historical analysis. Contributions from established scholars as well as junior researchers in all fields relevant to the broader subject are invited. Participants should submit a 300-word abstract of their proposed paper and a brief biography by 1 August 2013. This entry was posted in Events and tagged edwardian invasion, invasion literature. Bookmark the permalink.